forward through its own quarterly journal. With the increase in pet ownership, healthcare and spending, Asia’s pet industry is expected to grow at 14.3 per cent annually from 2016 to 2021. Pet ownership as well as expenditure per pet is increasing. Will Asia become the next global hub for pet-related products and services? As of 2016, the majority of households across the globe owned a pet. Pets have been a part of human society for thousands of years. Cats and dogs were buried with humans. The ancient Romans also kept small toy dogs approximately 2,000 years ago. As of 2016, the majority of households across the globe owned a pet. Dogs are officially man’s best friend with one third of households world-wide (on average) owning a dog. Cats are not far behind, with one quarter of households (23 per cent) owning cats, making them the second most popular pet. Where do the market opportunities lie? The annual growth rate of the pet care industry in Asia between 2017- 2022 is expected to be 8 per cent, making this one of the few mass market industries seeing brisk growth. Pet owners are now increasingly treating their dogs, cats and even small mammals like family members. Marketers are commercializing this trend into a vast range of goods and services. For example, the pet food market is expected to reach USD10.7 billion by 2020 and is seeing ever more varieties by flavour, health-promoting level and food type. Pets have moved from the basement to sharing the bed with their owners. Pet care products and services catering to the wellness and health of pets continue to emerge. For instance, India’s pet care market is expected to reach USD133 million by 2015, up from USD61.2 million in 2011. With rising pet ownership, consumers may also move up to premium services that are built on a better understanding of the needs of their pets. The pet care industry is benefiting from rapid urbanization and increasing tourism within Asia. Cashing in on this opportunity, many pet-friendly hotels have emerged. The Four Seasons Hotel in Singapore – a luxury hotel – offers low rates for a pet friendly room for pets that weigh less than 7kgs. A pet’s longevity and quality of life depends on its food, supplements and grooming products. Owners have become more conscious about the health and well-being of their pets. For instance, China’s USD1.5 billion pet food market in 2007 included sales of natural products at 27 per cent. Only 2 to 4 per cent of Chinese households own pets in comparison to around 65 per cent in the U.S. – indicating a huge potential for growth in the China market. Online retailing has gone mainstream in the pet food market. For instance, in South Korea 30 per cent of pet food revenue in 2016 was transacted online. Asia’s internet penetration continues to rise in emerging economies, while it is at or close to saturation in more developed countries. Smartphones are increasingly available globally, accounting for over one billion devices sold from 2014 to 2015. Changes in consumer lifestyles and rising disposable income are driving acceptance for pets and boosting the entire pet-related industry along the way. The pet care industry is expected to grow at over 17 per cent during 2016-2021. Every year, close to 600,000 pets (as of 2016) are adopted and the growing number of pets has given rise to various small and medium enterprises catering to pet care demand. China’s pet industry is booming. It is projected to grow by more than 50 per cent to USD2.6 billion by 2019. Furthermore, its pet care industry is outpacing that of the US market – the world’s biggest – with a 4 per cent growth in 2015. 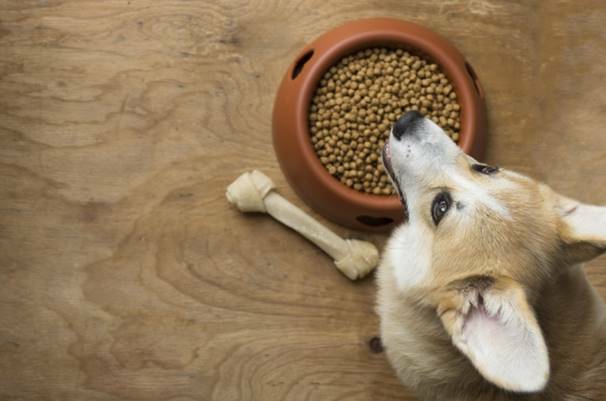 The pet food market accounts for 37 per cent of total industry revenue. Accessories account for 26 per cent, medicine accounts for 24 per cent and services are at 12 per cent of total industry revenues. As improved healthcare and rising awareness of pets’ nutritional requirements leads to longer pet life expectancy, consumers in Japan have shown a willingness to take on ownership of new pets, particularly larger ones. The pet food market recorded revenues of over USD4 billion in 2014 – with an expected growth rate of 1.1 per cent per year to reach USD4.3 billion by 2020. The South Korean pet industry is forecasted to reach USD573 million in revenues by 2022. Although dog meat is traditionally a delicacy in Korea, public pressure on the Korean government forced a more pet-friendly stance which has spurred more pet adoptions. Online sales are driven by discounts and the hectic lifestyles of Koreans. The expected sale of pet food via the internet is around USD180 million in 2022. Asia’s pet care industry is still not fully developed. What challenges and potential pitfalls should investors consider? Both pet care and pet food sales growth is driven by e-commerce. The online shares of pet care sales vary in 2016 from a low 8 per cent in Western Europe to a high of 17 per cent in Asia. Nearly one-third of cat and dog food is bought online in East Asian markets like China and Korea in 2016. Despite the growth potential, many pet food companies have yet to put in place strong internet retailing strategy. Despite this food being taboo in Western countries, China still holds an annual dog-eating festival. More than 15,000 dogs are slaughtered every year – mostly strays or pets. In a recent landmark decision in April 2017, Taiwan became the first country in Asia to ban the consumption of cat and dog meat. Anyone who eats or purchases such meat may be fined up to USD8,200. Latin America still has the highest percentage of pet ownership, at 80 per cent of households in comparison to 65 per cent in the USA. But Asian countries are catching up. Latin America still has the highest percentage of pet ownership, at 80 per cent of households in comparison to 65 per cent in the USA. But Asian countries are catching up. In India, for example, 600,000 pets are adopted each year. Premium products are more evident in pet healthcare. Many of the recent pet product launches in Asia tend to focus on ingredients and quality. For instance, I Pet Milk – launched in South Korea in January 2017 – is lactose-free milk which contains collagen, vitamins, calcium, Taurine and Yucca extract. Private label sales in Asian countries are seeing a tremendous growth as consumers are demanding cheaper and healthier products. Marketers should note, though, that the pet market in Asia is highly differentiated. Different countries have different characteristics. The Japanese market is driven by an elderly population that seeks pets as companions. In the rapidly emerging markets of Indonesia, China and India, pet ownership has come to be seen as a mark of status. Recent food scandals have forced some consumers to seek foreign products. Hence branded quality pet products may find a segment there. In mid-to-high income economies like South Korea, Malaysia and Taiwan, modern infrastructure facilities, high education levels and high internet connectivity have boosted the pet e-commerce market. As in any industry, marketers will need accurate local insights and customised strategies to succeed in the growing pet-related market in Asia.